Changshu Fadong Plastic Co.,Ltd is the leading manufacturer specialized in plastic products used in commercial facilities such as supermarket chains, retailing and logistics industries etc. 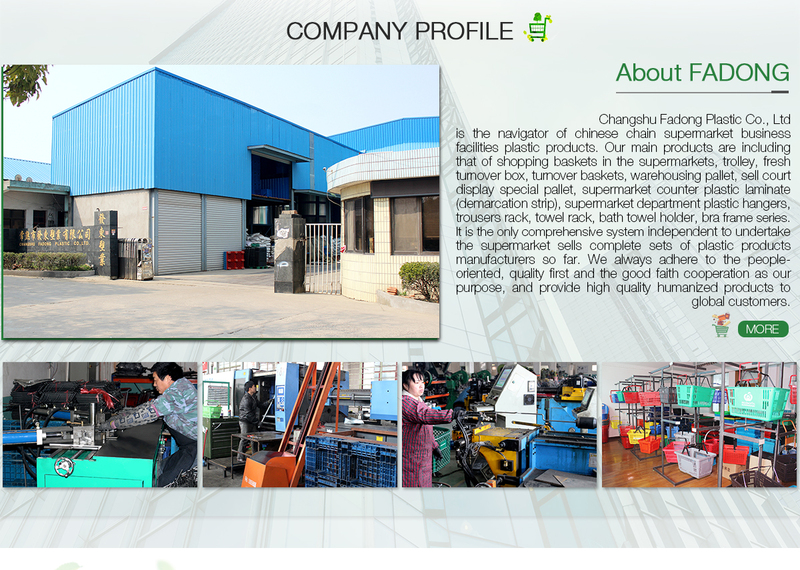 Established in 2008, Changshu Fadong Plastic Co., Ltd. is a professional manufacturer of shopping baskets for supermarkets. Our predecessor is Suzhou Fameihua Plastic Co., Ltd. which has 4 years' basket exporting experience. We supply various shopping baskets and other plastic products for customers. Our products have attained design patents in China. They sell well all over the world.